Iarnród Éireann has today announced an expansion of its services for the month of December. The proposed timetable alterations will enter effect from 9 December 2018, subject to the approval of the National Transport Authority. A significant increase in the number of off-peak and weekend services between Maynooth/Drogheda and Connolly, including extended morning and evening operating hours between Maynooth and Connolly on Sundays. Introduction of Monday to Friday off-peak services between Hazelhatch and Grand Canal Dock, via Phoenix Park Tunnel. An additional Monday to Friday service each way between Sligo and Dublin Connolly. Time alterations on Rosslare Europort/Dublin Connolly services. More even intervals on DART services on Saturdays. A number of morning Northern Commuter services will additionally serve Portmarnock, Clongriffin and Howth Junction; and one evening Northern Commuter service will additionally serve Clongriffin and Portmarnock, to balance capacity. 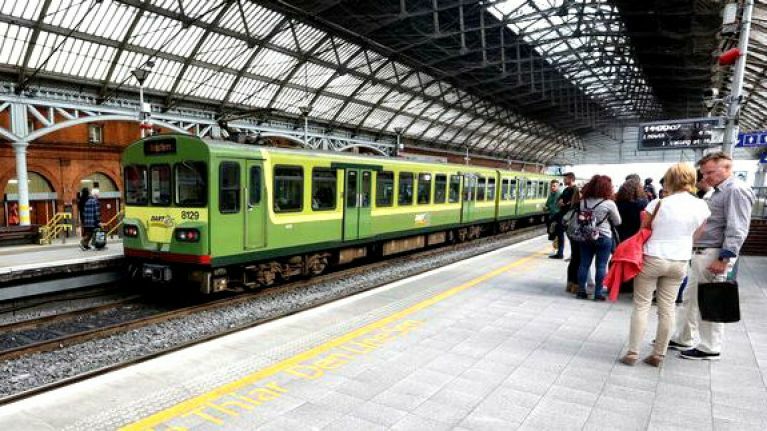 Additional early morning 06.52hrs Connolly to Malahide DART service to provide connection to northbound Northern Commuter service for DART customers at intermediate stations. Revised timings on Sligo/Dublin Connolly route services to improve punctuality. A number of other minor schedule alterations to improve punctuality. Specifically, the proposals include an earlier train from Maynooth to Connolly, departing at 05.58. Other specific proposals can be seen below, and largely affect commuters between Dublin, Drogheda, Sligo and Maynooth. 13 additional off-peak services each way on Saturday Dublin Connolly to Maynooth delivering half-hourly service from 08.00hrs to 19.00hrs approx. 11 additional off-peak services each way on Sunday Dublin Connolly to Maynooth delivering earlier first service from Maynooth at 08.00hrs, half-hourly service on Sundays from 11.00hrs to 19.00hrs approx, services extended to 23.00hrs approx. on Sunday evenings. M3 Parkway hourly service extended on Sunday evenings to provide connections at Clonsilla to and from later Maynooth services. Alteration to running time of 17.17hrs Connolly to Longford between Mullingar and Longford. Additional service Connolly to Sligo Monday to Friday: 06.55hrs and 09.05hrs Connolly to Sligo will operate, replacing existing 08.00hrs Connolly to Sligo. Saturday only 09.05hrs Connolly to Sligo will operate, replacing existing 08.00hrs Connolly to Sligo. Additional service Sligo to Connolly Monday to Saturday: 16.55hrs (17.00hrs Saturday) and 19.00hrs Sligo to Dublin Connolly, replacing existing 18.00hrs Sligo to Connolly. Altered running times to a number of existing services, including 07.05hrs Sligo to Dublin Connolly advanced to 06.40hrs. Three additional services from Connolly to Drogheda on Mondays to Fridays at 07.50hrs, 09.10hrs and 15.22hrs. Additional 06.52hrs DART Connolly to Malahide, to connect to northbound Northern Commuter service for customers from intermediate DART stations. Results in increase in service to at least 2 trains per hour in each direction for majority of the day..
22.05hrs Connolly/Drogheda service on Saturdays advanced to 21.45hrs. New service on Saturdays from Connolly to Dundalk at 22:45. 11 additional services on Sundays, delivering hourly service all day in each direction. The organisation is welcoming feedback and suggestions here, and full draft timetables for 9 December onwards can be seen here.